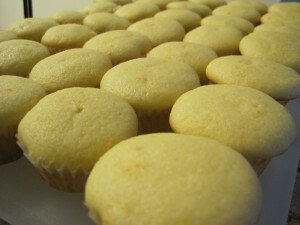 Let me start by saying that these cupcakes are amazing and you must try them!! Who doesn’t love mimosas? And who wouldn’t love them in cupcake form? Erin’s sister gave us the recipe and we have made them in the office a couple times since. They are mini, so you don’t feel guilty about just eating one, but be careful the mini size is also dangerous. Since they are so mini I have a tendency to just keep popping them in my mouth because they are so good. My favorite way to eat them is without the icing because the cake is so light thanks to the champagne. Go ahead and try them, you know you want to. Don’t forget to have a little fun and sneak a few sips of champagne while baking! Heat oven to 350 degrees. Place mini cupcake liners in each of 24 mini-size muffin cups. In large bowl, combine cake mix, 3/4 cup champagne, 1/2 cup orange juice, coconut oil, egg whites, and 1-2 teaspoons grated orange peel with electric mixer on low speed for 30 seconds. Beat on medium speed 2 minutes, scraping bowl as needed. Divide batter evenly among muffin cups (about 2/3 full). Bake 15 to 20 minutes or until toothpick inserted in center comes out clean. Cool 10 minutes; remove from pan to cooling rack. Cool completely. While cupcakes are baking, in large bowl, beat powdered sugar, coconut oil, grated orange peel, champagne, and orange juice with electric mixer on medium speed until smooth and creamy. 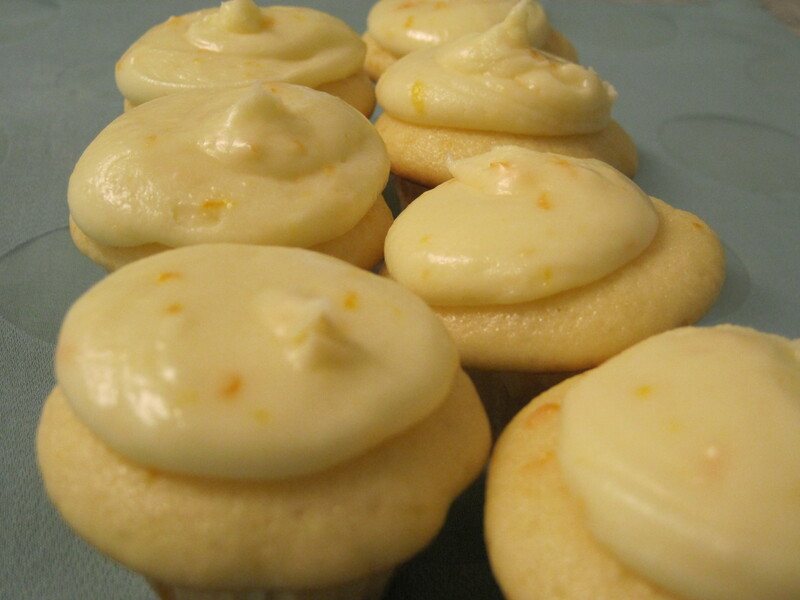 Spoon into decorating bag and pipe onto cupcakes; sprinkle with grated orange peel.